FRONT AXLE NUT COVERS FITS ALL SPORTSTER AND SOFTAIL AND TOURING CNC CUT BLACK AND POLISHE..
CNC CUT CHROME PLATED FRONT AXLE NUT COVERS FOR ALL SPORTSTER AND SOFTAIL ALSO TOURING ..
CHROME PLATED LICENSE PLATE FRAME FITS 2009 & LATER TOURING MODELSFor Harley Davidson FLHX ..
BLACK LICENSE PLATE FRAME FITS 2009 & LATER TOURING MODELSCHROME PLATED LICENSE..
SHOCKS FOR SOFTAIL 2000 & LATER, NARROW..
LOWER AIR SHOCKS HEAVY DUTY, 176LBF ,CHROME FOR 1997 THRU 2008 FLHT FLT.OEM 54631-02B..
LOWER AIR SHOCKS CHROME APROX 1 INCH LOWER 1997 TO 2008 FLHT 158 LBF STD SPRING.. 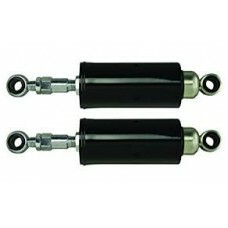 Factory Products, Lowered Shocks w/ Bolts, Two Pack. 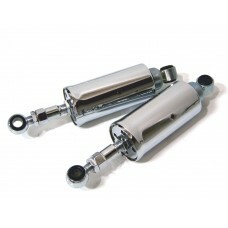 Factory Products, high quality durable chrome FXST shocks for a 88-99 Softail. Lowered shocks sold a.. 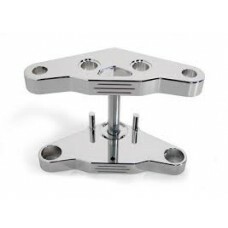 FACTORY PRODUCTS 2000 & LATER SOFTAIL LOWERING KIT LOWERS APROX 2 INCH CHROME PLATED &.. FACTORY PRODUCTS 1.75 LOWERING SLAM KIT FITS ALL DYNA MODELS 06-17SOLD AS PAIR IN A KIT.. FACTORY PRODUCTS 1-3 INCH LOWERING KIT, BLACK FITS 05 THRU 2013 SPORSTERS MODELS HUGGER, A.. FACTORY PRODUCTS 1-3 INCH LOWERING KIT, BLACK FITS 02 THRU 2015 HARLEY TOURING AND ..
BLACK FXSCT/FLST LOWERED REPLACEMENT SHOCKS 1984-1999..
BLACK CNC DEEP CUT FRONT AXLE COVER SET, NUT AND BOLT FITS ALL TOURING MODELS.. TRIPLE TREE, 5 DEGREE RAKE, BALL MILLED HIDDEN STEM NUT.. 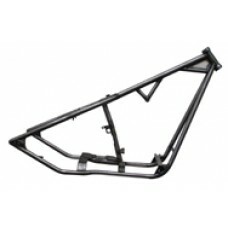 Factory Products, frame,34 Degree Rake, 4 Inch In the Down Tubes. 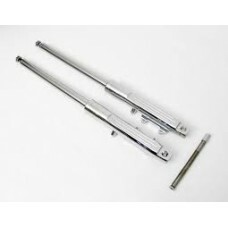 Factory Products, 34 Degree Rake, 4 Inch In the Down Tubes. frameFeatures.TIG Welded at Stress Point..
5 Degree Triple Tree for 41mm Front EndsChrome Plated with Hidden Stem and Fork Caps.. Factory Products 41mm Front End Standard Length Chrome PlatedBall Milled Lowers24 1/2" Fork Tubes.. 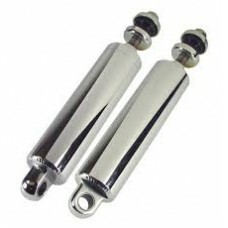 Factory Products 41mm Front End -2 Chrome PlatedBall Milled Lowers22 1/2" Fork Tubes.. 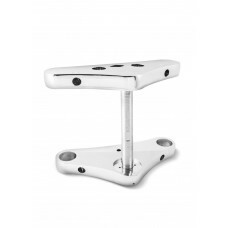 Factory Products 41mm Front End +4 Chrome PlatedBall Milled Lowers28 1/2" Fork Tubes.. 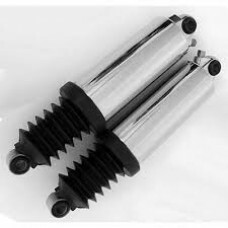 Factory Products 41mm Front End +2 Chrome PlatedBall Milled Lowers26 1/2" Fork Tubes..